*Due to unforeseen circumstances, the venue will need to be closed for this night. This show will be rescheduled for later in December or early January. Lookin’ forward to the next Athens show! 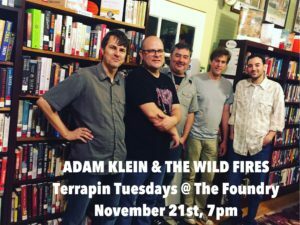 Love playin The Foundry and the fine folks there. 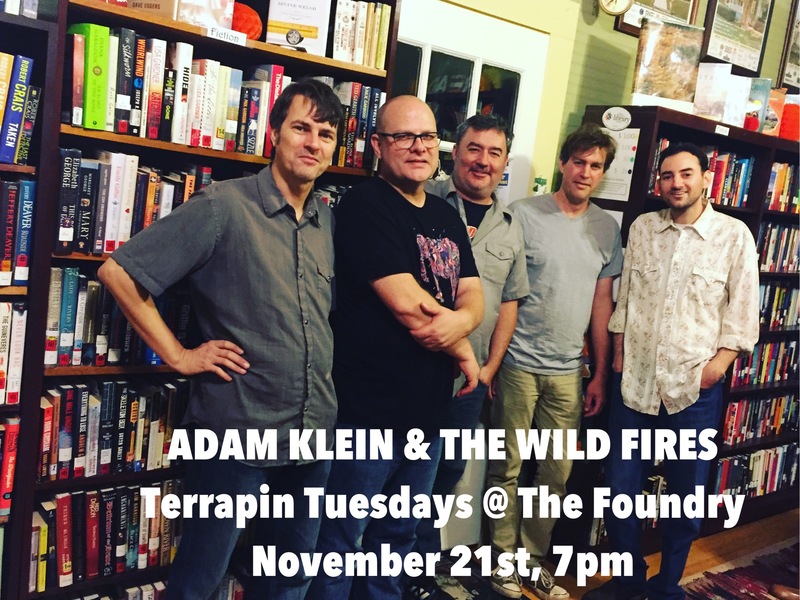 Join us for Terrapin Tuesdays with an excellent cast of Wild Fires: Steve Abercrombie (bass), Bret Hartley (electric guitar), John Neff (pedal steel), and Carlton Owens, our friend of Cracker fame, on drums. Doors at 6pm, music at 7.